Ruth is an accredited NCETM Professional Development lead in Primary Maths. She has worked in teaching for over 20 years in both primary and middle schools. 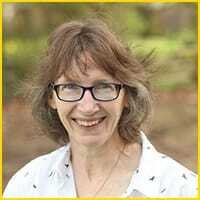 She has also worked as a maths adviser to Suffolk County Council, and now work as a freelance mathematics consultant, providing bespoke services to schools, teachers and governors. Ruth is the longest standing Ambassador that Propeller has. She frequently uses the Rapid Recall Boards on her training courses, and has even been a part of the development of the boards, too. Click to see Ruth’s Latest Training Course on Mastery, Fluency and CPA. She is running this with Chris Gallagher, one of our other ambassadors.